The AH07 MKII is the successor one of Archeer’s most popular and most universally acclaimed models. It represents their flagship Bluetooth over-ear headphone yet simultaneously offers tremendous value. Priced at just $55 USD on Amazon and $59 AUD shipped on Banggood (might be the MKI), the AH07 MKII offers many discrete features overlooked by much more expensive models from more prestigious brands; features such as memory foam earpads, metal components and low-latency CD quality apt-x Bluetooth support. Add in a sound that balances the warm low end of a consumer headphone with the nuanced high-end performance of a more dedicated headphone and the AH07 MKII might be the budget wireless champ we’re all looking for. Keep reading to see whether the MKII lives up to the glory of its progenitor and whether a headphone with native Bluetooth support is a superior solution to a wired headphone augmented with a Bluetooth adaptor. *Of note, it is likely best to order these headphones through Archeer’s official Amazon page as they have not delineated between the first and second generation models and both are physically identical. The Amazon page for the AH07 is currently under review since the release of the updated AH07 is pending. Please click here for the Amazon page of the updated AH07. I would like to thank Lucas from Archeer very much for contacting me and providing me with a sample of the AH07 MKII for review. There is no monetary incentive for a positive review and despite receiving the headphones free of cost, I will attempt to be as objective as possible in my evaluation. The unboxing experience of the AH07’s is imitated from some much more expensive headphones such as the Bowers and Wilkins P7 and Denon MM-400’s, both headphones I consider to be exemplary. The external box is black with a nice render on the front. The packaging could benefit from some low-key renders/photographs, but the external packaging is sufficient. While Archeer don’t outfit the box with foams or imitation satin, the plastic molding holds the headphones snugly and securely for shipping. Beneath the headphones lies the two cables, a 3.5mm cable that enables wired usage of the headphones in addition to a micro-b charging cable. Archeer also include a manual which lists some brief specs and instructions. Archeer do not include a case with the headphones, a soft pouch would have been nice for travel. The AH07 was a Bluetooth enabled headphone with a nicely considered build and design that belied its very modest asking price. The MKII is physically identical, both in look and feel which means they carry the same strengths and the same weaknesses. Although they are presented as an over-ear headphone in online renders and are even marketed as an over-ear headphone on Archeer’s website, the AH07 is really more of a semi on-ear headphone and I very much doubt anyone would be able to achieve a proper over-ear fitment. This frustrates me, because, as I will begin to divulge, the AH07 gets pretty much everything with comfort and feel so right yet still manages to have a somewhat awkward fitment. I honestly didn’t find the AH07 to be an attractive headphone at first, but the design has definitely grown on me over time. While they still don’t quite stand up to the premium portable headphones I reviewed here, they are undoubtedly one of the nicest budget headphones I’ve tested. They are relatively low profile on the head and the build quality is very impressive for the price; there are no rough edges or stitching issues and the very slight wobble in the hangers is non-intrusive in daily usage. The headphones adjust via a very clicky ratchet mechanism that holds its position better than most $400 headphones but still annoyingly has no printed markings on the metal slider. They also fold for travel/storage, becoming compact enough to fit inside pretty much any type of bag though it would still have been nice for Archeer to include a carrying case or pouch. Such exclusions are excusable for the price but are small tweaks that could be addressed in a MKIII. All points of stress such as the hinges are metal as are the outer faceplates which have a nice brushed texture, granting the headphones with a more premium look. The rest of the headphones are a solid plastic though there are no creaks and all surfaces are well joined without forming error. That being said, the design and finish could do with some work. All of the corners are quite sharp, especially those just above the metal side plates, they feel sharp enough to rupture skin if you accidentally scraped by. The faux leather, though reasonably soft, is also more plasticky than I am used to. Of course, they are a more budget orientated headphone, but a nicer pleather would no doubt aid comfort and seal. That being said, the earpads and headband are both well finished and well cushioned. The headband is especially ergonomically shaped, wide in the centre and flat, very comfortably sitting on my head and forming no discomfort over time. The headband has abundant cushioning, it’s a very soft, plush filling that does wonders for wearing comfort. The earpads are also well considered with soft memory foam internals that conform to the ear. So though the pleather is a little stiff, the headphones make up for it via extra cushioning and a wise choice of soft and memory foams. The earpads are also easily replaced, they simply slide into a slot that runs the permitter of the earcups, though the unorthodox rectangular shape will heavily limit aftermarket alternatives. Unfortunately, the fitment isn’t so spectacular. From images available online, the AH07 appears to be an over ear headphone, but it has more of a semi-over-ear fitment. Archeer have done as good a job as they could have, given the headphone’s dimensions, but I will never really agree with an on-ear fitment and the AH07, like most on-ear headphones, tends to form a hotspot on my outer ear after about 2 hours of listening (after which I require a lengthy break). The clamp force is also relatively strong as they are a portable headphone, further pressuring my outer ear. The earcups could definitely do with more width, depth or both, though those with flatter ears than mine will likely have far less issue with the fitment. I can only guess that Archeer sacrificed long term comfort for portability as these are most definitely intended for travel over home use. But apart from comfort, seal and isolation are actually quite good. Both earcups swivel to adjust to your ear and form a strong seal, though the right swivel mechanism was considerably stiffer on my unit that the left one, producing an uneven seal unless manually adjusted. I’m sure they will loosen up over time, but as is, it does get tedious constantly adjusting the headphones. When the right earcup was behaving, I managed to achieve a solid seal formed on account of those plush memory foam earpads and, in combination with their closed back nature, the AH07’s provide adequate isolation for commute, though I still wouldn’t take them on a plane or underground train. Finally, running over the physical features reveals all of the playback controls and inputs on the right earcup. The AH07 possesses what I would consider to be thoughtful and logical button placement, with a unified volume rocker situated a moderate distance from the power/multifunction button, preventing accidental presses. In between lies a status LED that is very visible without being obtrusive. The buttons are all nice and clicky, they also fit snugly within the earcups and don’t rattle within the housings; an incredibly annoying oversight that afflicts far too many budget headphones/earphones. On the bottom of the headphones lies a micro-usb port to charge the internal battery in addition to a 3.5mm jack should you run out of charge or want to use the headphones through a wired connection. I thank Archeer for using a regular 3.5mm port, it is not recessed so any cable will fit and function as intended, many portable headphones use keyed or recessed ports that vastly limit usability. Overall, the AH07’s are a handsome and very well-built headphone for the price. The fitment is a little off, they aren’t truly over-ear but those who are acclimatised to on-ears will find them just as comfortable as any other. In addition, the uneven swivel mechanisms are a point of concern, though I am fairly confident that they will loosen up over time. That being said, these shortcomings are addressed by exemplary padding and headband design and the headphones usability is augmented by well-considered in-built ports and controls. Though the AH07’s supposedly support NFC pairing, I was unable to locate the tag anywhere on the headphone. Yet even without, they are no harder to pair than any other premium Bluetooth headphone. Power and pairing are controlled through the multi-function button situated just above the volume rocker. Holding for 5 seconds causes the headphones to enter pairing mode and the status LED flashes red/blue. I easily paired the headphone to both my laptop and HTC 10, the AH07’s are capable of remembering several devices but will not connect to multiple simultaneously even though they support BT4.0. Once paired, the power button only needs to be held for 2 seconds, after which the headphones will simply power on and connect to the closest previously paired device. Pairing was incredibly rapid, make sure Bluetooth is turned off on your other devices before attempting to pair to your current one since it does bias the previously paired device. 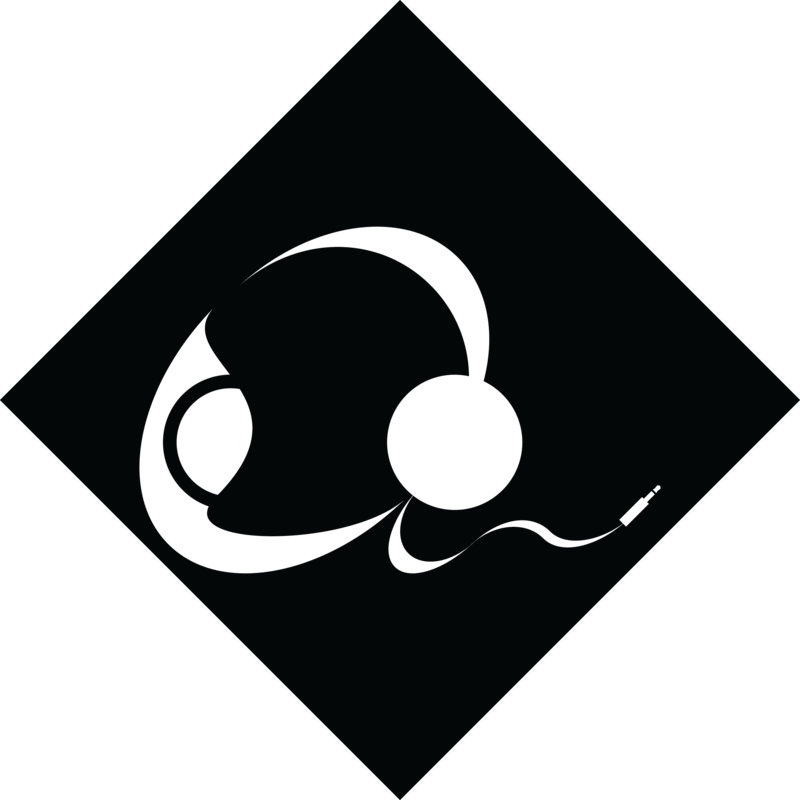 The headphones communicate connection and power via audio cues, a single chime when powered on, an ascending tone when paired and a descending tone when powered off. If the user isn’t wearing the headphones or is in a loud environment, the status LED communicates the same functions, blinking blue when powered on and turns off when paired, it also glows red when the headphones are on low battery or are charging. The AH07’s also support apt-x which provides higher audio quality than a regular Bluetooth connection in addition to lower latency. While I was unconvinced that the audio quality was considerably better from my apt-x supported HTC 10 than from my BT4.0 laptop, latency was slightly lower on my HTC. That being said, latency on my laptop, while slightly noticeable, was hardly unbearable; streaming videos, watching movies, even some gaming were all completely viable. In addition, the headphones offered nice wireless range, about 3 rooms through double brick wall, which was superior to the range offered by my Maceton MC4U Bluetooth adaptor (equipped on my Sony MDR-1A pictured above). There were some rare instances of interference resulting in slight audio stuttering, but the headphones were otherwise very reliable and experienced no dropouts or other connection issues. The physical controls function only in wireless mode but did work correctly on all platforms. While the multi-function button simply acts like the centre button on any conventional earphone, the volume buttons control ~20 volume levels separate of source that reset every time the headphones are powered off. This enables some finer control and I didn’t notice any additional hiss when the internal volume was raised. The volume buttons can also be held to skip track, the AH07’s control similarly to Archeer’s Bluetooth speakers. The headphones also have a built-in microphone for calls, recipients did not note any quality issues during my testing. Battery life is rated at 14 hours, well above average for a budget Bluetooth headphone, but not the best I’ve seen. In real world usage, the headphones managed just under that, around 12 and a half hours at low-medium volume. I was unable to test whether the internal volume drastically affects battery life like the Envaya Mini; essentially you turn the volume on the speaker/headphones down and turn the volume on your source up to increase runtime. Seeing as my result was so close to the estimate, I doubt they would achieve much longer runtimes. But even as is, the 12-13 hours that I am able to achieve is easily enough for a full day or 3-4 days of on and off usage. It’s also enough for most plane trips though as previously stated, isolation is not adequate for such an environment. Of note, you can’t charge the headphones and use them in wireless mode at the same time, the headphones will power-off as soon as they are connected to a power source. The AH07 is cheap and wireless, a recipe for audio disaster. But yet again, Archeer have pleasantly surprised me with the audio quality offered by the AH07’s. They aren’t quite as refined as a wired headphone of equivalent pricing, though there are very few proper headphones around this price anyway. While they do have a more consumer low-end response, the high-end and to a lesser extent midrange, really outperform their price and class. While I don’t have truly equivalent headphones on hand to compare, I will provide comparison to my Sony MDR-1A equipped with a Maceton apt-x Bluetooth adaptor that should provide some insight into the AH07 MKII’s performance, they also share many characteristics in their tuning. I should note that the Maceton adapter, due to the fact that it uses a wireless connection or perhaps due to its weak internal amplifier did degrade the audio performance of the reasonably efficient Sony’s. While it initially seems like a great idea to purchase this $20 adapter if you currently have a nice headphone with a removable cable, a dedicated Bluetooth headphone does still hold numerous benefits. Listening to the AH07, the first thing that became apparent was the large lower/mid-bass emphasis. I’ve come to believe that many manufacturers employ such tuning to create the semblance of more bass extension as the AH07 has only average sub-bass extension. Upper bass is similarly elevated quite a lot, resulting in midrange spill, though male vocals are forward enough not to become overwhelmed. The midrange is relatively even with a slightly darker tone and female vocals do sit slightly behind male vocals in the sound, both of which sit behind the boosted bass response. Treble has a slight emphasis, strangely, it is not lower treble that is accentuated but rather the middle and, to an extent, upper treble, similar to higher end Sennheiser’s. That is not to say that the AH07 has a treble response that performs like the HD700 or ie800, but rather that it is tuned in a similar fashion and fans of a sparkly, airy response will be pleasantly surprised by this $55 USD Bluetooth headphone. Overall, although I have not heard the first generation AH07, from what I’ve read online, the new iteration seems to bring subtle tuning changes to the midrange to bring more balance as well as perhaps toning bass down a touch; I didn’t personally find them as overbearing as some have mentioned, they are about as bassy as the MDR-1A but suffer from the same downfalls as a result. Soundstage performance is similarly above average for a closed back portable and, considering the budget pricing and feature set, is quite impressive. Most headphones around this price, especially Bluetooth headphones, have little soundstage space, but the AH07 MKII has a reasonable amount of both width and depth. The presentation is more depth focussed making imaging a little fuzzy at times; instruments and vocals tend to get compressed forward compared to more rounded headphones. As a result, I do find myself wanting more width from time to time, though the amount of soundstage depth and centre image is still impressive for the price. The MDR-1A’s do have an outstanding soundstage for a closed portable, however when sourcing from a Bluetooth adapter, soundstage space certainly takes a hit. I would still consider them both more spacious and more separated than the AH07’s, partly because they have more midrange clarity, but the difference is not as pronounced as one would expect given the price difference. On that note, separation does occasionally suffer from the soundstage compression on the AH07 MKII, but they generally still manage to sound composed with complex tracks. Although I am mostly accustomed to more expensive headphones such as the Sony’s and Oppo PM3, the v-shaped tuning of the AH07 in addition to its airy high-frequency response both prevent the headphones from sounding as muddy as most of its more direct competitors. Overall, the AH07 has a rather outstanding soundstage and above average separation and imaging in its price range. As an added note, given that the Sony’s have a standout soundstage among portable headphones and was just slightly superior when paired with the adaptor, I wouldn’t hesitate to say that most wired portable headphones with an external wireless adaptor would actually have an inferior soundstage to the AH07 MKII. The AH07’s are internally amplified and really don’t sound all that different from my various sources. My 10 might sound a little cleaner in the high-end over my non apt-x enabled laptop but otherwise, the headphones don’t sound too compressed over a wireless connection. They have plenty of volume when both the internal and source volumes are maximised, enough to damage your hearing. Despite this, background hiss is minimal, barely audible in a quiet environment and completely non-intrusive, you won’t notice it at all when music is playing nor when in a noisy environment. The Sony’s with the Maceton adaptor, by comparison, produced a much more prevalent hiss that was noticeable even when music was playing but not when in a loud public space. While it is a lower frequency, less obtrusive hiss, it was nonetheless considerably less discrete than the Archeers. As aforementioned, bass is the most prominent frequency range on the AH07 MKII, namely lower and mid-bass. Upper bass is reasonably well tuned though as soon as notes descend further, the headphones start to sound muddy. Faster bass lines sound blurred and a lot of texture is lost to the uneven emphasis. Despite this, the headphones don’t have the slam of more extended headphones such as the MDR-1A and Bowers and Wilkins P7, of course both of those are more expensive. I do find the bass response at least as pleasing as that on the Beats Studio 2.0’s, not a great headphone, but one that costs about 7x more than the AH07. They both have the same kind of emphasis with heaps of punch to the mid-bass though more complex tracks do suffer from a loss of detail and definition, they also both lack sub-bass slam. The MDR-1A has a similar amount of emphasis, and while it does have considerably more bloat than the AH07, especially when connected over Bluetooth, it also manages a more textured mid-bass response and more pleasng sub-bass slam. Pop music is well flattered by the AH07’s, in fact, the bass is actually quite nice until it descends into the lower bass where the emphasis is too great for my, already bassy preferences. I might sound grim, but I’m honestly not surprised by the bass response on the AH07 MKII; it is inherenetly a regular, consumer headphone and is tuned as such. The quality isn’t terrible, it’s above average for the price and the tuning at least avoids that bloated sound that affects so many low-end headphones, even the higher end MDR-1A. The muddy lower bass response is completely acceptable given that they are so economical, however bass texture still isn’t quite up to scratch. The midrange is luckily much improved. While it still isn’t flawless, the tuning is much more pleasing than the low end. Listening to the Lala land soundtrack which has little bass (and is thus great for testing the midrange and high-end), revealed a surprisingly balanced midrange and a crisp treble response, much more so than one would expect from a budget portable Bluetooth headphone. Mids are slightly dark and clarity is just average. Veil is limited though they still lacked the nuance of the Sony MDR-1A’s. Lower mids are quite impressive, vocals are clear and clean if slightly unnatural and dry sounding though I still found that both instruments and dialogue in films were well portrayed by this headphone. Lower mids do sit behind the large bass response and spill is commonly present but I wouldn’t say that male vocals sound particularly recessed nor do they sound muddy due to that drier character. Lower mids were noticably clearer than the warmer MDR-1A’s though they might sound too dry for the particularly discerning. Upper mids are quite the opposite being slightly recessed, granting the headphones with a darker midrange character not unlike the Sony’s. While I do occasionally want more upper midrange presence, female vocals are smooth and have plenty of body and instruments that reside in this frequency range such as acoustic guitar and lower strings are flattered and natural. Upper mids do have some veil and some added clarity would go a long way to improve detail presentation and insight. They most definitely possess a more laid-back midrange, detail retrieval is good but they aren’t presented aggressively. The brighter MDR-1A sounds considerably cleaner and clearer due to its added clarity. Though they don’t actually resolve a lot more detail, the details that are resolved are much more upfront, creating a more engaging high-end. The MDR-1A’s also benefit from a more spacious soundstage, creating more separation, granting the sound with more depth. The AH07 is still very surprisingly competent for what they are, the midrange is enjoyable with a nice tonality and reasonable versatility in addition to pretty standout separation. They remain composed during complex passages and will surely impress the average listener, though as aforementioned, the slightly more expensive Sony MDR-1A’s still boast a stronger midrange performance if at the cost of native wireless support. Highs are surprisingly crisp yet unfatiguing. Treble has increasing emphasis the higher you go, but rolls off in the upper treble, overall it is slightly accentuated from neutral, sitting in front of the mids but still a little behind the bass response. The treble grants excitement to the more laid-back midrange and enables the AH07’s impressive soundstage performance. As a result of their emphasis, treble notes do have that splashy character that affects some of Sennheiser’s high-end gear, treble notes tend to sound a bit tizzy and sometimes thin. Detail retrieval is quite nice but they would still benefit from a more even treble response. Treble isn’t accentuated to the point that sibilance or raspiness creeps in and the high-end is very well tuned for a Bluetooth headphone; most budget headphones either have no treble response at all or have an overly boosted one of poor quality, the AH07 has both quality and tasteful tuning. The MDR-1A is still a stronger performer in the treble, but here the differences aren’t so pronounced. The Sony benefits from slightly more extensions and more body, granting higher notes with a more natural tone. However, the AH07’s higher emphasis results in a more atmospheric sound and often grants the impression of a more detailed sound. If the AH07 had a more aggressive upper midrange, it would help to counteract the strong low-end when combined with their airy treble response. As it is, bass detracts attention from the higher quality elements of the sound due to its quantity even if its quality is subpar. While I don’t have any personal experience with the original AH07, the MKII has shaped up to be a very impressive headphone overall. As always, I’m a huge fan of apt-x, not necessarily due to any quality gains but due to the vast decrease in latency, making the apt-x enables AH07 much more versatile. The build quality is also standout as is the design of the headband and folding/adjustment mechanisms. There are a few little niggles with the finish and fitment, especially those swivel mechanisms, but apart from that, the headphones are attractive, cheap and sonically well-performing. A surprising amount of thought has gone into little details such as the clicky buttons and memory foam earpads, little things that make a huge difference in daily usage. This is also reflected in the sound quality and tuning, both of which are much more nuanced than one would expect. The Ah07 isn’t necessarily THE Bluetooth headphone to get, but I wouldn’t hesitate to recommend it to bass heads and general consumers on a budget. Now in terms of whether the AH07 is superior or inferior to a wired headphone with an adaptor, price considered, I would say that they come out quite favourably. If you already have a nice ~$400 portable headphone, then a $20 apt-x adaptor such as the Maceton will serve you well with similarly low latency and quality, though you will experience a loss of soundstage and dynamic range compression. Ironically, if you have a higher end headphone, such an adaptor will struggle to drive it and will even further degrade sound quality; it already struggled to drive my efficient cans and would have no chance driving something like my HD700’s. In addition, the adaptor produced a very noticeable hiss, something that detracts notably from your listening experience. It’s more interesting if you have no headphones at all, I rarely come across a headphone as good as the AH07 for just $60. If you were to go with a wired headphone and adaptor, you would be left with a $40 budget for the headphones themselves, and the $60 AH07 will decimate pretty much any $40 wired headphone out there. The ideal solution, budget permitting, would be to buy the AH07 as a companion to a dedicated home headphone; they’re wireless and bassy, both great for commute and have plenty of battery life to get you through a few days of heavy usage. For just $60, I really can’t complain about their sonic shortcomings. Accessories – 6/10, Enough for the price, neither a case nor pouch is included though both are easily purchased for just a few dollars. Included cables are adequate and manuals are well translated. Design – 8/10, Visually speaking and price considered, the AH07 are an attractive headphone. Build is great and finish is good. Sharp edges and the stiff right swivel are an annoyance. The fitment is a little strange but is still above average due to the great headband and plush earpads. Folds for storage, adjustment clicker is nice and tight. Buttons are responsive with nice feedback. Bass – 5/10, Lacking a little extension and slam but has great punch. Texture and definition are nice for the price. Mids – 6/10, Nice balance. Clear, dry lower midrange. Smooth upper midrange. Laid-back sense of detail. Treble – 6.75/10, Nicely detailed, unorthodox boost results in an airy and sparkly response. Soundstage, imaging and separation – 5.5/10, Soundstage is above average for a closed back portable headphone. Especially impressive considering the price. Verdict – 8/10, The AH07’s are a very well rounded headphone, much more so than the vast majority at this price. While comfort could do with some work (almost every review has noted the small earpads), the headband and memory foam earpads themselves are both well designed. The audio performance is also standout. While I might have sounded negative in my review and scores, both are in reference to some much more expensive headphones and the AH07 are definitely a nice sounding headphone in their price range, especially when considering their feature set. They have a particularly strong treble response in addition to a midrange that is not great, but is much more mature than most consumer available headphones. Bass is strong and warm but also muddy, while I do not personally enjoy such a response, those who enjoy a bassy sound and those who have not heard more expensive dedicated audiophile headphones will likely find them incredibly pleasing. Finally, the wireless features and performance are all well realised, making them one of the most livable portable headphones around. The Archeer AH07 MKII’s get my resounding recommendation as a bassy budget wireless champ. Next Next post: Fiio F1 Review – New Budget Benchmark?